Home owners typically invest in a tiled roof conservatory when their current UPVC or glass conservatory is looking slightly aged and worn out. Can I Have A Tiled Conservatory Roof Put On My Current Conservatory? Absolutely, one of the reasons people replace their existing conservatory roof is because it is looking out dated, aged or damaged. A common problem with your standard UPVC or glass conservatories is that they are either unbearably hot or teeth chatteringly cold, which when you’ve paid a decent amount for an extra room in your home is not good. The original purpose of a conservatory was for it to be used as an orangery or to grow plants – which in some places today it is still used. However, conservatories may add a significant amount of resell value onto your home, but are they practical and can you use them to their full potential? Tiled roof conservatories are often favoured not only for their beneficial purposes but also their stylish decorative image; it’s said that they are preferred over UPVC or glass conservatories which are typically branded as fake or tacky by it’s opposers. So if you’re intending on investing in a tiled conservatory roof – then keep reading! Because we’ve got some of their top benefits here for you to clue you up on the different types of conservatory roofs. A lot of homeowners who purchase tiled conservatory roofs often favour this alternative option due to the fact it has a more homely resemblance. You use tiles on the roof of your home, so why not incorporate them into the design of your conservatory? After all, you are adding a new room onto your home so the chances are that you would prefer your new additional room to resemble the over all design of your home. Insert the homely design with the option of adding built in ceiling lights to your conservatory similar to some of the ones available to you in your home. Instead of opting for a plain bare lighting fixture choose roof lights that are available for installation when you invest in a tiled roof conservatory Milton Keynes. All we worry about through the recent years is keeping our planet safe and how we can do that to our full potential. Obviously, we do things to care for our planet each day such as recycling or creating new technology or ideas to help reduce the amount of greenhouse gas that is released into the environment. Due to the fact here at Crown Windows, we offer a variety of different tiled conservatory roof designs we are able to ensure our customers that the tiles used for your conservatory are 100% recyclable and are unquestionably suited for the environment. 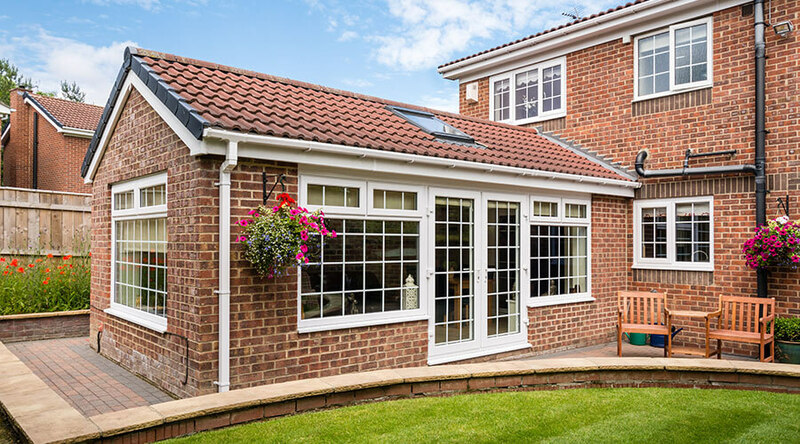 You would be lying if you claimed that you didn’t like saving as much money as possible – which is good news for anyone interested in purchasing a tiled conservatory roof. It is proven that these state of the art roofs can significantly lower your energy bills as opposed to the average UPVC or glass conservatory. Due to the fact, a standard conservatory is made out of UPVC or glass it is exceptionally easy for it to over heat of becoming unbearably cold in the changing of seasons as heat rises and will escape from your conservatory. This can quickly become a problem when it comes to your energy bills, cranking up the heating when your conservatory is freezing, then blasting the air con in the summer months – it’s going to be an ongoing battle. Luckily for you, a tiled conservatory roof can be the tool that can end all your unsolved heating issues. Tiled conservatory roofs are often fitted alongside an insulating layer situated underneath the tiles to minimise heat loss, not only will you be warm in the winter but a tiled roof will provide a sense of shade to your conservatory meaning that it will not reach temperatures as high as a standard conservatory would. A lot of people find the noise of rain fall on a surface very soothing and calming, which it is unless you are attempting to work or read a book or watch television. You initially invested in a conservatory in Milton Keynes for extra living space, or perhaps to even have a room to escape and relax when you would like some time to yourself. This peace and serenity will soon be destroyed once rainfall falls upon you, the sound of rainfall on a surface may make you reminisce of the times you would curl up in bed petrified in a thunderstorm as a young child but will not bring you memories when you are trying to concentrate. A lot of people invest in garage conversions to use as an office, but a wide variety of people also use their conservatory for this purpose, and when rain is pattering all around you you cannot concentrate. A tiled conservatory roof stops the repetitive sound of rain drops drumming on your roof, due to the layer of insulating material beneath your roof tiles your noise pollution will be reduced dramatically, people often compare these roofs to the ones used on your home roof as you will not hear a sound. If you did not want a conservatory on your home but wish for extra space, then a tiled conservatory roof could be the solution you’ve been looking for. As opposed to a home extension the process of installing one of these states of the art roofs is significantly shorter than any kind of home extension. If you already have a conservatory but are not satisfied or feel like it is not working to it’s full potential then look into investing in a tiled conservatory roof for maximum satisfying results. All in all tiled conservatory roofs are very beneficial and add a touch of contemporary decor to your home alongside saving you money and making life easier. Don’t have a conservatory?  At Crown Windows And Conservatories we offer a variety of different conservatories in Milton Keynes that are suited for various home types and sizes. We hope this article was informative, if it was why not share with your friends, family and conservatory owners!